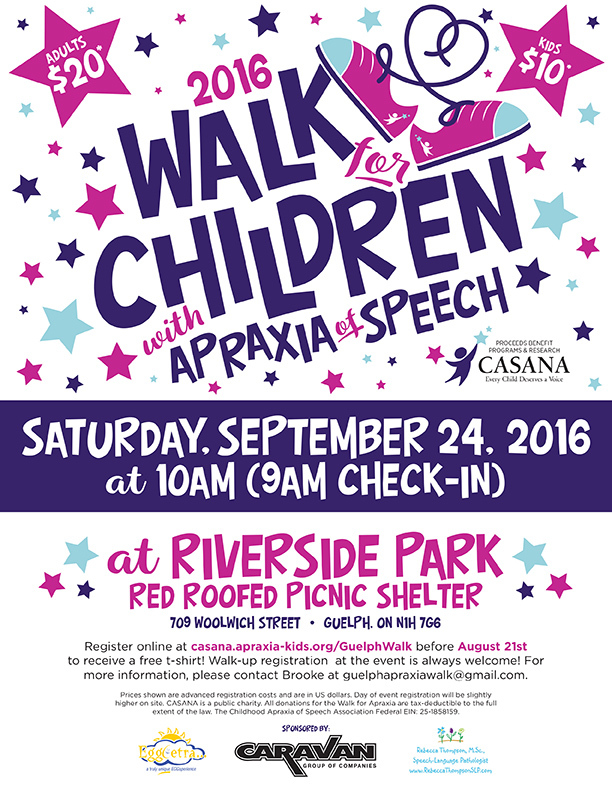 We’re so excited about the 2nd annual Guelph Walk for Children with Apraxia benefitting CASANA! Online registration is open until September 22nd or you can register in person at the event on September 24th . Listen to a speech from an Apraxia Star and her Mom!